As we wind down on our final days of 2018, I'm reminded how around this time last year, a crew of volunteers were bustling into action, scheming up surprises for a palpable “Gandhi 3.0” retreat last January. After the gathering, with so many folks brimming with energy to spill forward the goodness, it felt natural to collectively deepen further through a 6-week virtual Laddership Circle, to learn from each other, explore transformation-led design principles, experiment within ourselves and with our communities, and engage labors-of-love that reflect the emergent field of collective wisdom. Last Spring, 18 of us from 9 different countries signed on, and what a journey it was! Below are some of the many highlights. “What’s love’s business plan?” Ana genuinely asked. "What system designs create the conditions for transformation?" 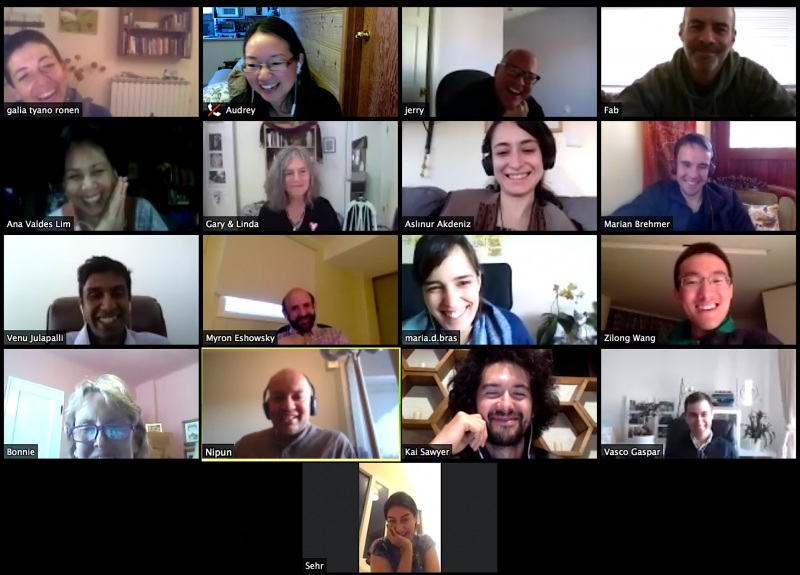 We quickly realized there's no one-size-fits-all answer, but it was remarkable to witness how the collective space of the circle supported each of us to unfold a collage of living answers in our corners of the world. 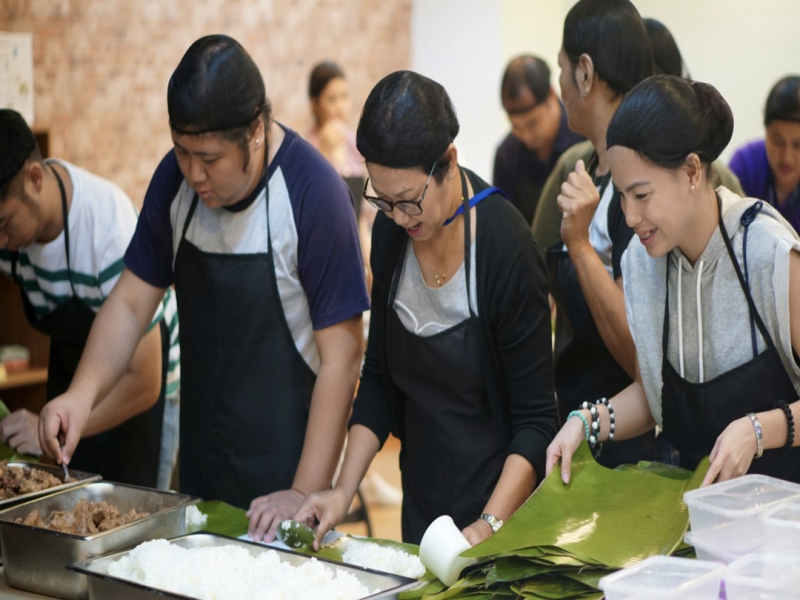 In the Philippines, Ana’s board members wanted a business plan for her variety of experiments -- including “Kindness Theater," a 5-story gift-economy retreat space, and kindness activities (like cooking hundreds of meals to feed others). In the backdrop of the prestigious, globally established Assumption College -- which, on Ana’s campus alone, enrolls 2-3 thousand students from preschool to university -- these are quite out-of-the-box experiments! In Priceless Pricing classes, we ask all class participants to first commit to spiritual growth. Please be sure to attend all the classes if possible! Near the last class of a series, we invite participants to meditate on what financial amount they would like to contribute. 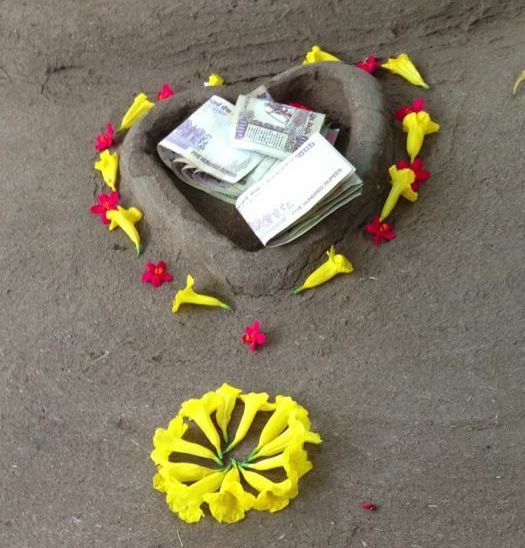 We ask them to consider an amount that that reflects their personal experience of benefit merged with the desire to raise up our divine community to support happiness, personal growth, and global blessings. We leave the specific amount up to the individual’s inner wisdom. We thank you in advance for honoring this Priceless process. We used to charge for various classes and give the teacher a portion of the fee. I find that with Priceless Pricing comes the recognition that the most valuable things, like spiritual education and community, are Priceless. For the most part, people realize that they are giving to an intangible value. I also find that I'm a better teacher when I teach from a Priceless Pricing model. I don't accept a fee for these classes and I find greater freedom in that. Also we teach the art of giving by asking the students to decide collectively on what inspires them, and then we donate to that organization/person as a group. Building off the group exploration, Venu had been experimenting with pay-it-forward process in his medical practice(! ), and took further steps to articulate what that meant to his patients. Marian and Aslinur launched Anar Journeys on a gift-basis, with so many loving touches of care, including gifts handmade by volunteers to take on the journey! In Portugal, Vasco and Maria designed multi-day "Deep U" retreats with their local community. Immediately after one gathering, two participants sweetly wrote in about their beautiful intent to deepen in service: "My husband and I have come across ServiceSpace very recently and it has made such an impact that we needed to get in touch with you. How can we be part of your team? Is it possible?" :) and "I hope to share my humble contributions for anyone who needs them and to incorporate others' feedback on my personal and professional life." With so many different manifestations and perspectives, it became clear that inner transformation is dynamic, living process -- not a predictable model one can replicate. :) Yet, in coming together with an open mind and heart, and shared intentions to "be the change we wish to see," we drew inspiration from each other, which rippled into unique, concrete expressions of these values in our own communities. Rather than focusing on the content of a project or product, everyone began to focus on the process of creating a context for humanity's intrinsic virtues to surface. I presented a new pricing model, that had been inspired since Gandhi 3.0, Pranidhi's Yoga Shala West, Infinite Vision and Aravind Eye Hospital, Bonnie's sharing of "priceless pricing". As I shared the rationale, I felt all of you as the "breath" supporting me, feeling shaky, but the words as they came out of my mouth, slowly taking root in my heart. A new emerging garden, seeds planted last January in Gandhi 3.0, and actually even further back, when I first met Nimo online, through his Empty Hands Album, and who eventually introduced all of you angels. From my presentation -- The result was silence, then... they liked it, and now I have to present to the alumnae, Sister's membership, and Board of Trustees. Waaaaahhhhhhhhhh! You are with me, each of you, thank you! 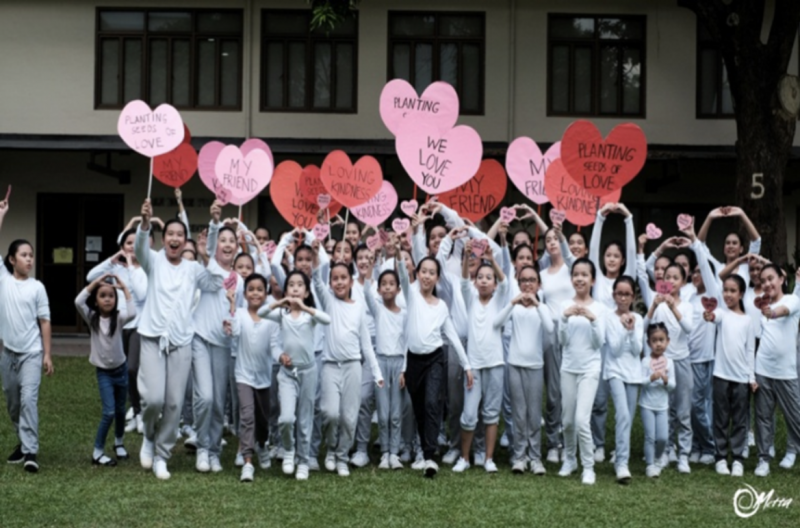 Soon after, she and her team began hosting retreats to practice a culture of kindness outside school walls, and enabling “invisible service” and “silent service” for each other. They also invited Nipun to give their commencement address last May, after which the principal of their K-12 schools inspired us to host an education-themed circle with their teachers, as well as educators across five countries, to explore how qualities of service and kindness can be instilled as alive, embodied values rather than a rule to be followed. Here's a video of Ana and her team's first retreat. 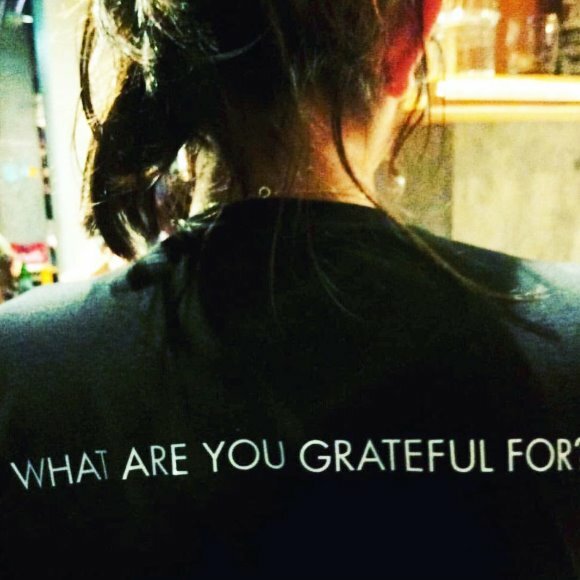 “What does showing up look like?” was another question, which Sehr wondered. Sacred texts talk about how there can be “action in inaction” and “inaction in action”. How do we fully show up in a way that unlocks our core values? It’s remarkable how much unfolds when we simply find an excuse to deepen in values, within ourselves and with others. 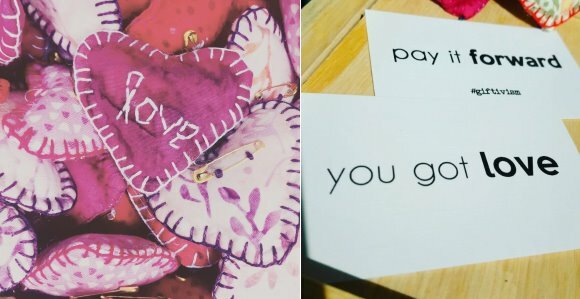 Sehr and Bonnie started “stitch-a-heart” circles (aka: “heart-felt investing”) in Dubai and California. Soon after, Aslinur in Istanbul hosted one -- in which her mom joined, too! 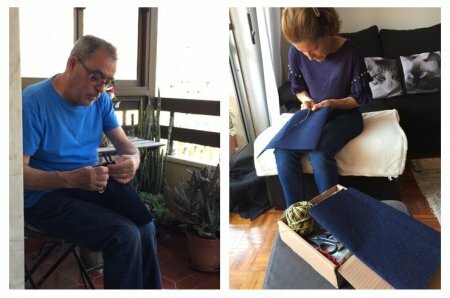 Inspired by the idea of spending time with family in such a way, in Portugal, Maria, her parents, and Vasco began stitching homemade gifts to share with participants of their labor-of-love “Deep U” Retreats -- which have taken on a life of their own! Sehr’s question of “showing up” also brought her to a local farm, where she found herself leading a joyous day of service. And then to a five-star restaurant, where she described “massive heart ‘surgery’” through the launch of Karma Kitchen -- with the host restaurant chefs volunteering on their only day off (and that too, while fasting the entire day for Ramadan)! 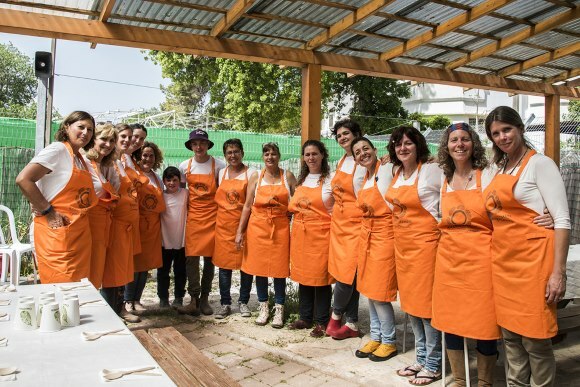 Galia, too, kicked off the first Karma Kitchen in Israel -- where they served 400 guests! She recalled the joy of volunteers gathering to serve, including a whimsical labor-of-love moment the night before, standing on a chair in her kitchen, stirring a massive pot of soup for strangers and friends to enjoy the next day. In DC, Jerry noticed litter on his street -- and decided to pick it up, which prompted interesting conversations with a neighbor, and within himself. 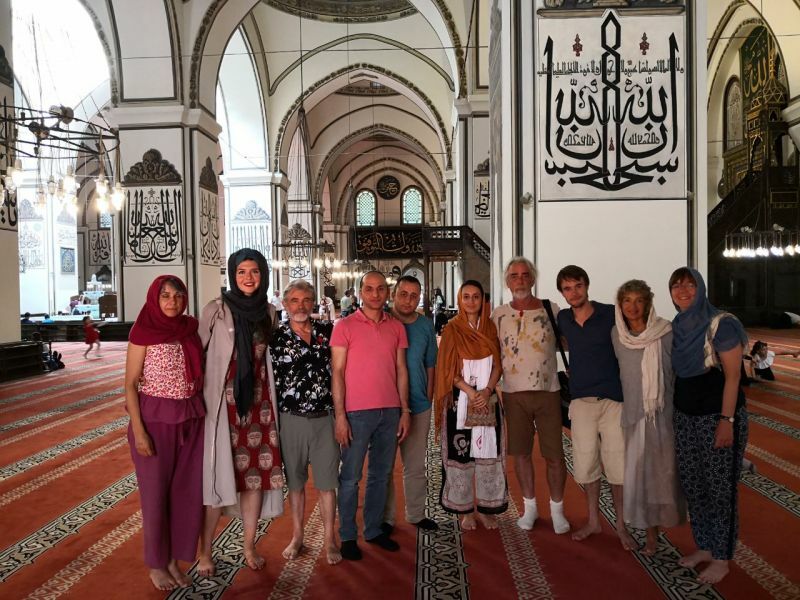 In Istanbul, the first night of Ramadan intersected with Aslinur and Marian's Awakin Circle. 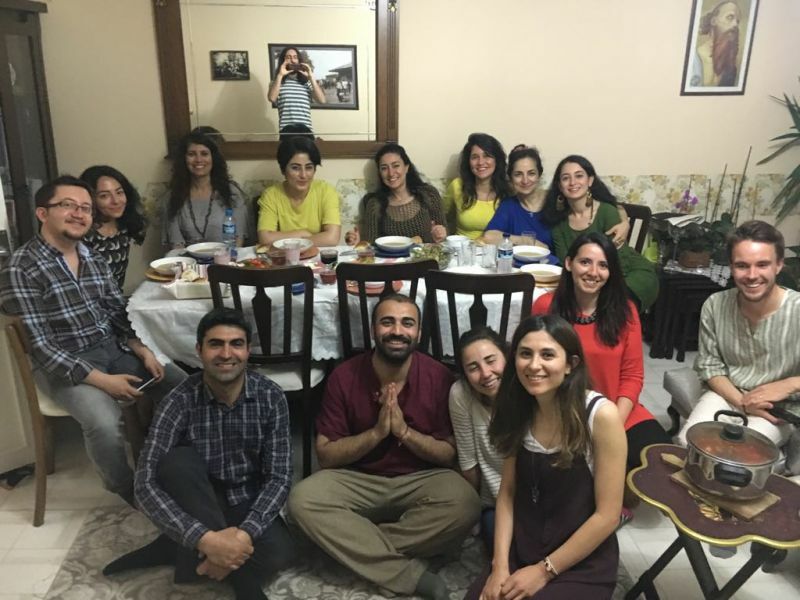 Traditionally the first iftar dinner (breaking of the fast) happens at the parent's home, and Aslinur's mother had invited her home for dinner. Caught in a seemingly conflicting situation of filial respect vs. her values for hosting a meditation circle, they came up with a solution: her mother agreed to bring the whole Awakin Circle into their home -- into an evening rich with community values and nurturing care. Aslinur wrote: "[My mother] was flying around like a butterfly, constantly serving and feeding people whom she addressed “my daughter”, “my son.” It was a blessing to welcome the first day of Ramadan all together ... these days, I am so grateful to what Life is constantly presenting to me, to us, to the whole. And tell myself... actually Life is always sending you blessings but you often focus on the package and miss what is in the box- a delicious food to be shared with friends." We saw how tuning into ways to relate can unlock so much value when we least expect it. Linda recalled a poignant moment on a plane, when she found herself sitting next to a man who appeared quite disheveled, and who ordered an alcoholic drink first thing at 9AM. Intuition told her to show up with love, and she turned and talked with him: “Hello, how are you?” The reply: “I just buried my daughter. And now I’m going home.” With tears streaming down her face, she spent the entire plane ride in deep conversation with this newfound friend. On top of that, the commitment to the circle -- from fellows and volunteers alike -- was remarkable to behold. Each week, our circle began at times that spanned 7AM to 11PM, depending on what corner of the globe we were in. Kai in Japan would show up week after week, offering lucid insights at midnight! Zilong, too, dialed in late-night from China, several times while on the road with his gracious parents, who were sleeping or meditating in the same room during our call. Similarly, one week, Venu was in a remote area and managed to find wifi to dial in. Komnieve dedicatedly joined our volunteer crew, even with the sleep deprivation of being a few-months-old new dad! When we reflect on such a convergence, we find ourselves both stumped and awed. Who could have willingly thought it up? Who would've thought a celebrated author, a shaman, a Nobel Laureate, two former actresses, two former nurse practitioners, a former luthier, a permaculturist, two masters' students, several mothers and fathers, humanists, and countless community builders would gather as pilgrims on a shared journey of personal and collective transformation? And who could've schemed up that a former CEO of one of the "best places to work in Los Angeles," a gastroenerologist, and a 20-something-year-old who who was voted to give his university commencement address, would volunteer their time to serve so wholeheartedly in such a space? We couldn't have come up with such a diverse community if we tried. But luckily, as one participant put it, "I know for sure that I'm not driving the bus." As all of us deepened in small acts of service, we found ourselves tapping into a greater pattern of interconnection. The laws of nature hold timeless wisdom. As Gandhi said, "Truth and nonviolence are as old as the hills." With unconditional love at our roots, we allow ourselves to be humbled and surprised, to both spring into action and dissolve into the natural rhythms of our innate capacity for compassion, in whatever forms they want to emerge. Towards the end of our 6+ weeks together, Ana jokingly proclaimed, “I’m irreversibly damaged!” -- which Maria echoed and re-coined as: “I’m irreversibly repaired!” :) Over half a year has passed since the circle “completed” -- but the “damage” is done, :) many-to-many ripples are in motion, surfacing and spilling over as time and conditions continue to ripen. I'm in awe of this synthesis. So amazing!! 😊 Thank you for writing! Wow! What a brilliant post, Audrey! Thank you!!! I think I can only say after this... I miss u all!!! :) That 2019 may be a year full of beauty! A huge hug! I am in awe as well of the capacity to synthesize so beautifully. The ripple from a year ago continues to grow strong and I miss everyone too! thank you. Keep these coming Audrey ! Thanks for sharing about this wonderful collective journey. I sit here in awe...........thank you for sharing all of this. Wow!